I love math stations where the students can use their creativity while working with numbers. 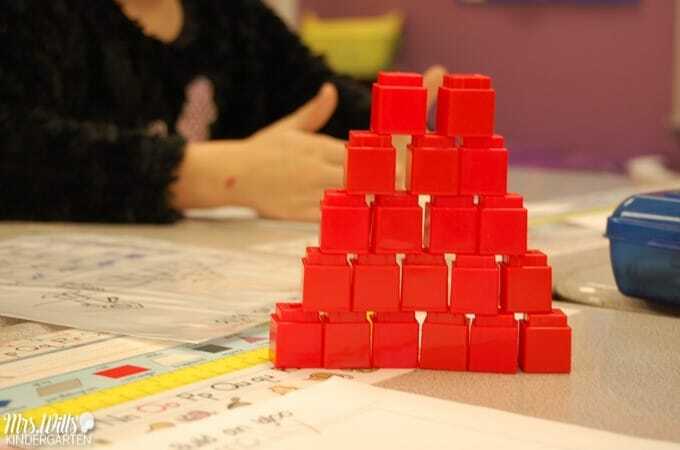 These are a few photos from the math stations I created in 2011. You can find this winter math activity at the bottom of this blog post. 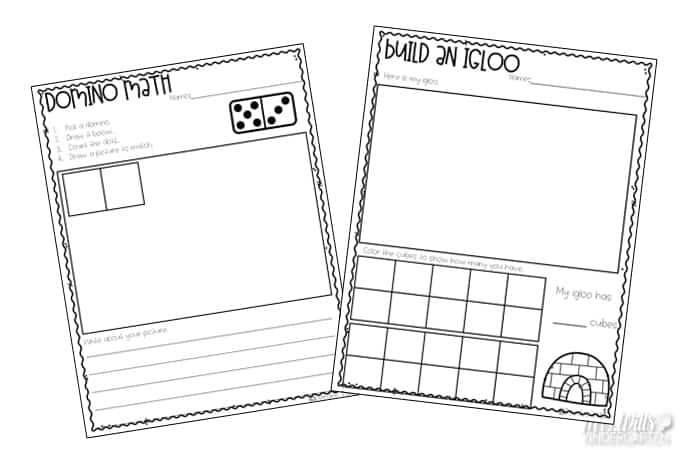 Here is how this math activity works. This student selected a domino at random. Then she drew the dots on the black domino page on the response sheet. She counted them all and created an image to match. Then she wrote about her picture. She writes about it. “I had 12 scoops of ice cream.” Great job Miss P! 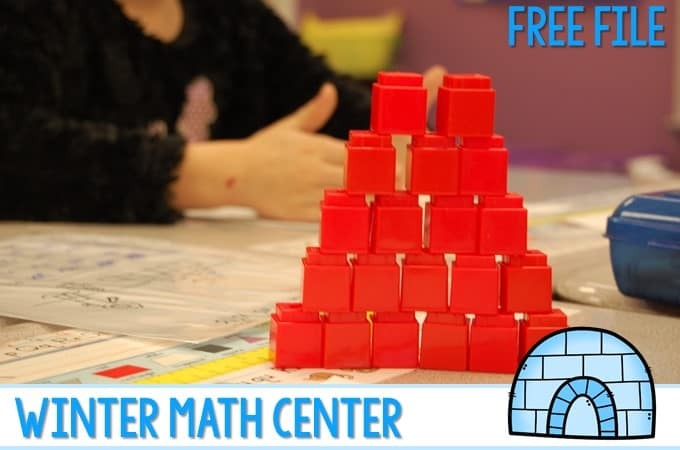 In this math station activity, the student builds an igloo. My class loved building this math activity. Then the students draw the igloo that they built. The 10 frames help the students keep track of their counting. I encouraged the students to make a pattern when they color the boxes. As I said, this original response page was from 2011. I thought I would update it for you. You can download this free file at the bottom of this blog post. Just add your email below and the file will be sent to your inbox! Previous Post: « Penguins! Penguins! Penguins! I love the 12 scoops of ice cream. Very Cute- thanks for sharing. THese are so adorable. I love them. Can you tell me what I am doing wrong, when I go to download them it tells me I have to purchase doc? 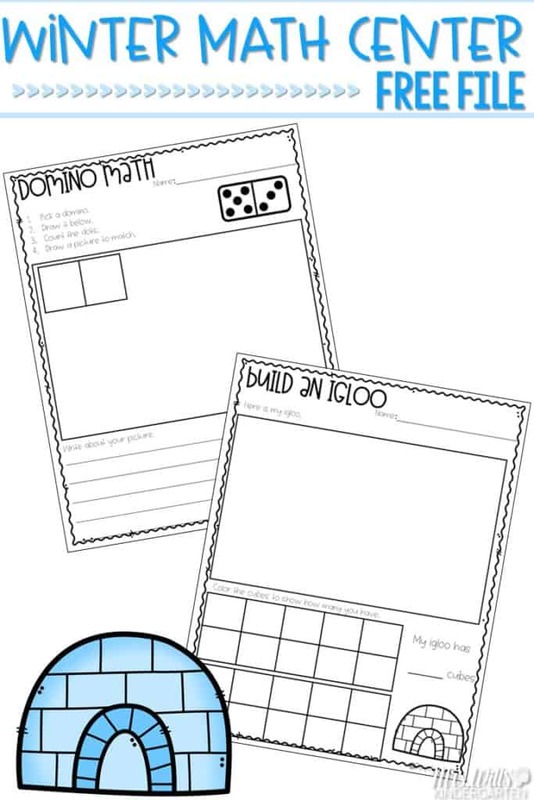 I love the igloo math work station! How fun! Thanks so much for sharing! Thanks for sharing these documents! !